Orthopaedic disorders in horses range from overt single or multiple limb lameness through to very subtle issues as a cause of poor performance. 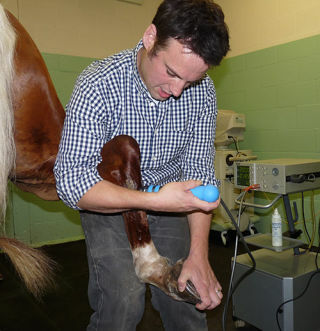 We have a wealth of knowledge and experience in the diagnosis and treatment of lameness problems, complemented by a modern, fully equipped surgical theatre and high quality imaging facilities. 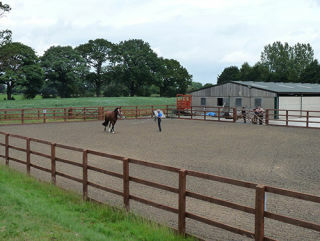 Whatever the issue, a consistent and logical approach is always followed to ensure an accurate diagnosis and therefore the best possible treatment and prognosis for your horse. 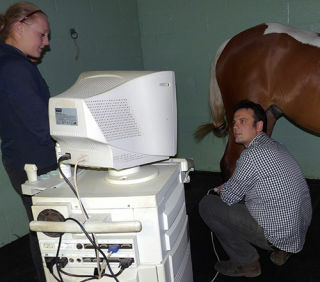 Generally, a lameness examination will follow the process outlined below. Observation of the horse under saddle. This can markedly increase the degree of lameness in subtle cases. Additionally, back, pelvis and tack/rider issues may also be seen at this stage.